What Are Your Habits And What Habits Are You Developing Now? Habits are powerful, tools, if used and managed properly. We all need an extra hand during the day, to help you do all the things, expected from us. If we had a method of “doing” the things right, we usually, at the end of the day, have achieved the most of the goals we needed to carry out. Productivity and efficiency are two of the most common denominators, both in our personal and professional life. And always, both productivity and efficiency, are never in place, when the how and the when is the issue. It seems that the most times, our life, tends, towards procrastination and inertia rather than towards more productive goals. Is it normal? I don’t know. Is it normal? I don’t know. What I know, though, is that there are good tips, that work, and usually, can direct us safely and speedier towards our goals. Some of the best, I have found valuable, in everyday life, I present them in the next section (in random order). Everyone has some sort of method of doing his/her job with more efficiency. All the paths are valid. The point of this post is to offer some more insights to help everyone doing his/her work in a better way. Some “Healthy” Working Suggestions Or Habits For Doing Things More Effectively! Write everything down (use one main “inbox” (one central place, analog or electronic) to collect all loose ends and then process filter, organize the outputs). It requires a little more effort but trusts me, worth the trouble. Review it often to keep you on track. Review all your goals and results (personal, work, financial, health, etc.) in all related or/and concerned dimensions (long range, middle range, short-range), and often. Amend, adjust and review, if necessary (keep yourself flexible !!!) Review often and alter your goals if they are over-ambitious or not possible. Start small and do not overemphasize your capabilities or over-schedule your time. Use time constraints or similar techniques (like timeboxing) to limit the time you need for a certain task or activity.Work by time framing and activities batching. Break down larger tasks in smaller ones and cope with them in pre-designed slots of time. Automate what you can, spend some time to automate, even more, deal with the rest. Use templates to direct your focus to specific tasks, phrase, and text expansion applications (like PhraseExpress and Texter for Windows, TextExpander, TypeIt4Me, Typinator and other for Mac) and shortcuts to free your time and directed yourself on the task at hand. Focus on the Most Important Tasks and neglect, redirect, or offer a limited time to those does not agree with your goals (if you can !!!). Find the best time framework for you, for doing the most important tasks. Schedule “Focus Zones” with specific timeframes and limitations (like email, writing, developing, social media, etc.) Do not violate the boundaries you have set. Use the e-mail and Social media in designated times and never overcome the barriers you set for these tasks (tend to become time-consuming). Deal early with the most difficult tasks, let the “easiest” or most “enjoyable” for a more convenient time (a one you have a schedule for these tasks!!!). Alternately, do your most difficult or demanding tasks in the best time suitable for you. Use ONLY one collection point (MS Outlook, Gmail, notebook, Moleskine, paper, other) for your tasks, ideas, sketches, drawings, to-dos, projects, etc and stick to this. Process, organize, archive later, but do not mix up the collecting and organizing actions at the same time. if needed, use appropriate tools for prioritization, scheduling, etc. 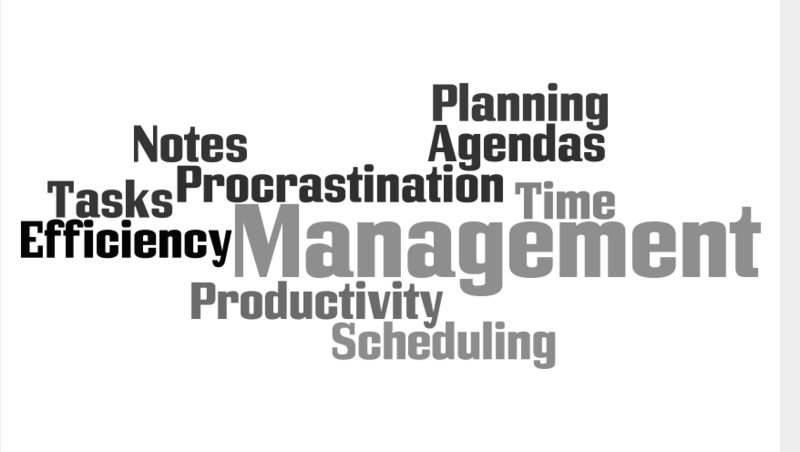 Use a scheduling system (electronic or paper) for organizing your activities in a coherent way. Make sure to include time for yourself, for your closest significant other, your friends, for important, to you, activities, and if possible leave unscheduled time for anything cannot yet foresee. Always schedule time for yourself for contemplation, envisioning, scheduling, reviewing, etc. Use a flexible schedule to accommodate all your needs (both personal and professional). Use one process system to collect, process, organize, etc. everything and tweak it to provide the best results for you (you can use various methodologies, like Getting Things Done by David Allen, Autofocus by Mark Forster, McGhee approach by Sally McGhee and much more available). Do not multitask. NEVER. Make it a habit. Keep your focus only on one task at the time. When finished, move on. Say NO to the things that are not important to you and you can avoid, spend the minimum time to the others. Eliminate distractions, if you can. Use methodologies, procedures, techniques, and tools to eliminate distractions. Select the most appropriate to you or the ones you think you can actually going to use. Benchmarking and test every tool or procedure BEFORE you incorporate it into your workflow. Select the proper one, customize it to your needs and then use it. When doing something make sure you have all the resources for performing the task at hand before you start. Finding during the process will divert your focus and limit your creativity and productivity span. When in a meeting, make sure that you are going to arrive earlier, estimate the commute time and a 5-minute preparation before the meeting. Make sure that have all the necessary documentation and an agenda, before the meeting. After the end, make sure for the result of the meeting, who is going to do what, by what time and (if any) what are the deadlines. Be always prepared for the situations you may meet, especially during your interaction with other people (i.e check if you have enough business cards, reference or promotional material, etc.) Practice for possible situations, that you may encounter. Start NOW with a coherent and methodologically orderly manner (i.e. do not work without an objective and without having the result in mind, or what you want to do). Make sure, to never return to a task that you have already processed. If you can avoid endless repetitions. Develop good working and living habits and routines. Allocate time for research and brainstorming. Exploit every trick you can master for computing, usability, time savings, habits changing, etc. and use it readily in your daily routines. Read and study new fields and principles. Maintain yourself and your tools in top shape (including categorizing, archiving, backup, establishing reference points, etc.) Document your workflow and your procedures, your tools, your services, etc, in order to be readily available, if they are needed. Learn well and practice with respect the art of delegation to others (in a way that would be rewarding and fulfilling both for the delegated person as well as for the delegator). Build or change your working environment according to your needs. Use technology and mobile computing for help you performing your everyday tasks. Network and practice social media interactions in a consistent and respectful way. Please comment:Do you have any other ideas on how to have a more effective day? What else would you implement? You can leave a comment by clicking here. Are you making the most of your resources?